Maintaining a living room for baby can be a challenge. The good news is that you do not need to sacrifice the style of your living room to make it baby-proof. Here some tips on making baby-friendly living room. The sharp edges of a coffee table can be dangerous to your little ones in the house. 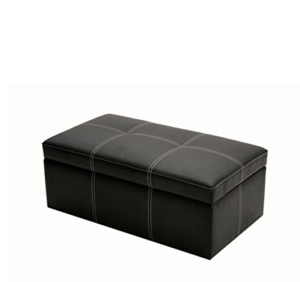 In order to create a safe environment, you might consider purchasing an alternative like a round table, a large upholstered ottoman, or even a few poufs. There are excellent options for your living room furniture, such as a leather couch (they are not all as expensive as you might think) or simply a sofa cover. Other options may include, a stain-resistant fabric which many furniture companies may offer but with an additional fee. It is better to have lighter-colored furniture than the darker colored ones because they typically wear off easily. An easily washable flooring is a no brainer. Consider using tiles, wood, vinyl, or even have it laminated. If you prefer carpet, you need to consider carpet tiles which will enable you to clean or replace when needed. 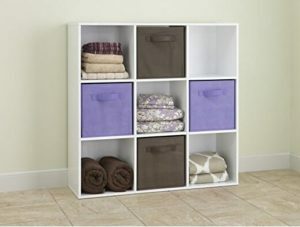 When planning for storing things like toys, bookcases with low bins and cubbies are a great option. Toys can be kept easily out of sight, but still accessible to you. Tall bookcases can be used for decorative object, while the shorter ones can be used for toys. For more comfort or coziness, you might want to get a rug if your floors are tiled or wooden. 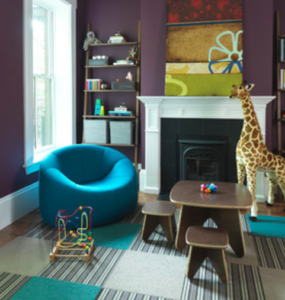 Rugs can provide a safe and comfortable play area and protect your baby’s hands and knees from the rugged floor. 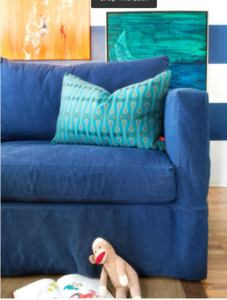 One of the easiest ways to make your rug safe from your baby is the use of a non-slip rug pad. 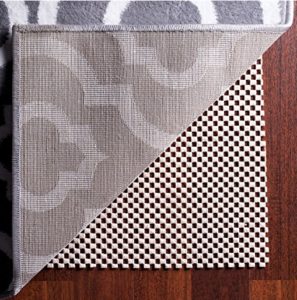 The rug pad gives your carpet a better surface grip on a smooth tile or wooden floor. Just make sure to choose the closest size of rug pad to the dimension of your rug.